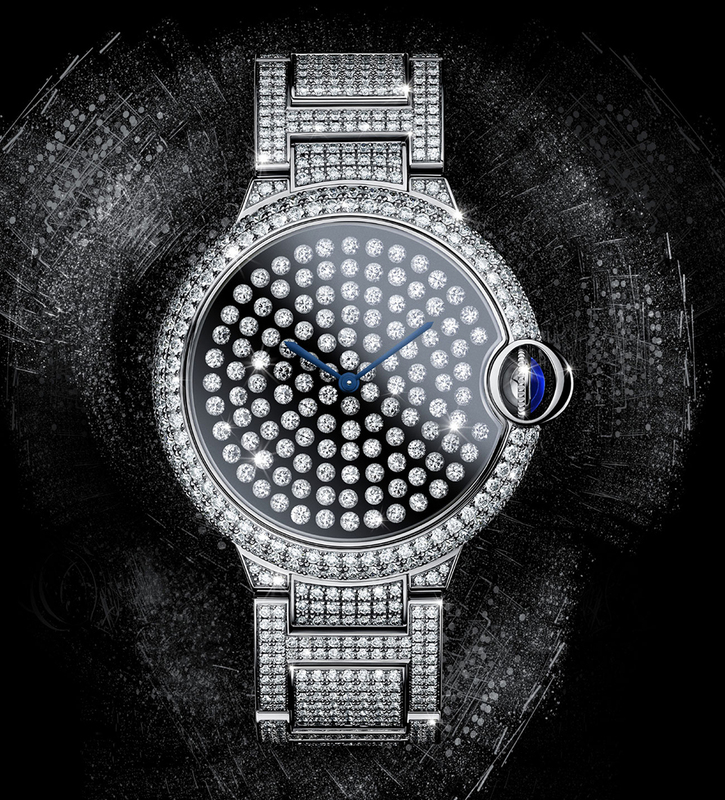 The 25th edition of SIHH witnessed the marvelous Ballon Bleu de Cartier Serti Vibrant, in which the dial displays a carpet of diamonds set “en tremblant”, a technique which allows the stones to shimmer and glow at the minimum movement. The Cartier High Jewellery Watch collection introduces Ballon Bleu de Cartier Serti Vibrant watch with the new mechanism allowing the dazzling diamonds that adorn the luxury watch to sparkle with glitter. 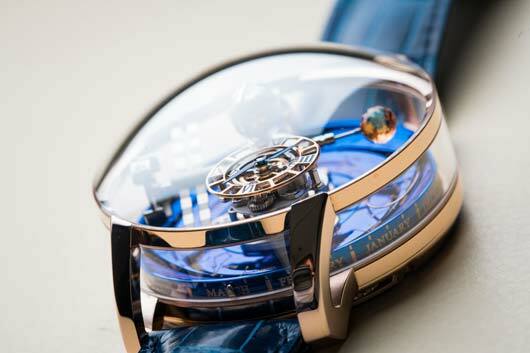 The new Cartier watch has captivated the audience at the Salon International de la Haute Horlogerie of Geneva with the highest standards of Fine Watchmaking tradition alongside the vast range of Cartier creativity and expertise. 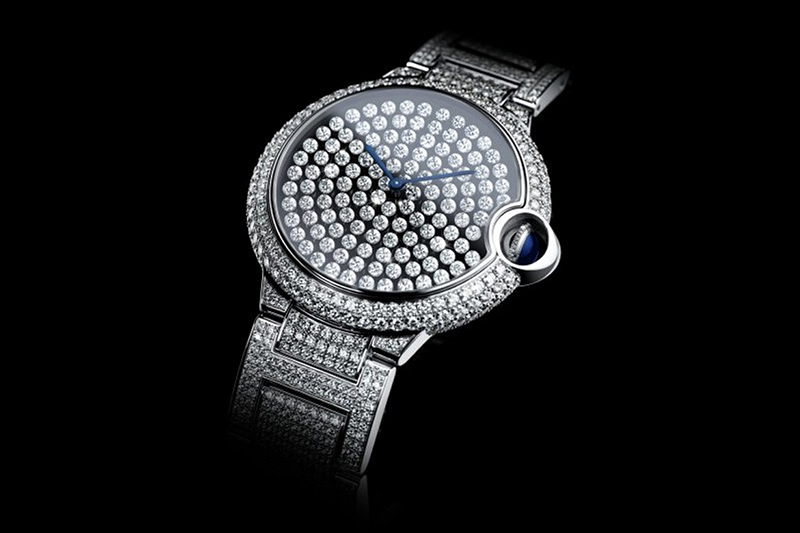 The gorgeous 123 brilliant-cut diamonds that adorn the dial of Ballon Bleu de Cartier Serti Vibrant watch are given a gentle movement from the dial vibration, a technique known as “en tremblant”. “En tremblant” is a French term – meaning “to tremble”, was first used to describe 18th and 19th century jewelry where parts of the diamond set pieces were attached to a trembler to create movement in the jewel when worn. The pieces of jewelry mounted in this way were particularly effective in reflecting the scintillating fire of candlelight. 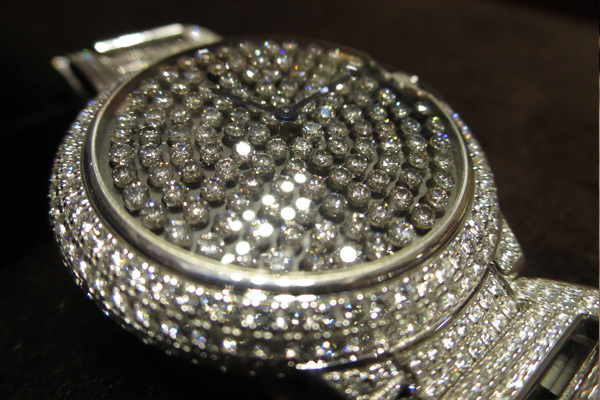 The 18K white gold bracelet which is set with 985 brilliant-cut diamonds totaling 8.82 carats. 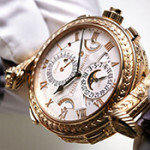 Water-resistant up to 30 meters, the Ballon Bleu De Cartier Serti Vibrant Watch is available for whopping $250,000.